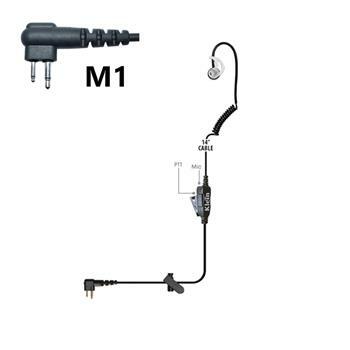 The Intrepid Radio Earpiece with an M1 connector is a unique 1-wire earpiece with an in-line PPT button and microphone. 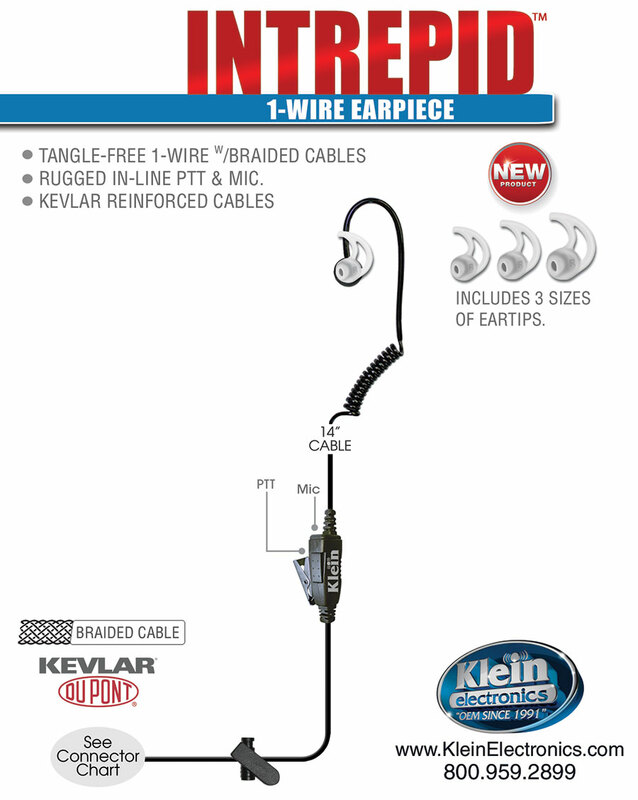 The Intrepid Radio Earpiece with a braided cable and a M1 connector is a unique 1-wire earpiece with an in-line PPT button and microphone. The coil is not a tube, it is actually a cable. This allows for better audio clarity and volume. Includes 3 sizes of silicone eartips. Compatible with Motorola, Blackbox and Blackbox Series, HYT, Relm and TEKK radios. 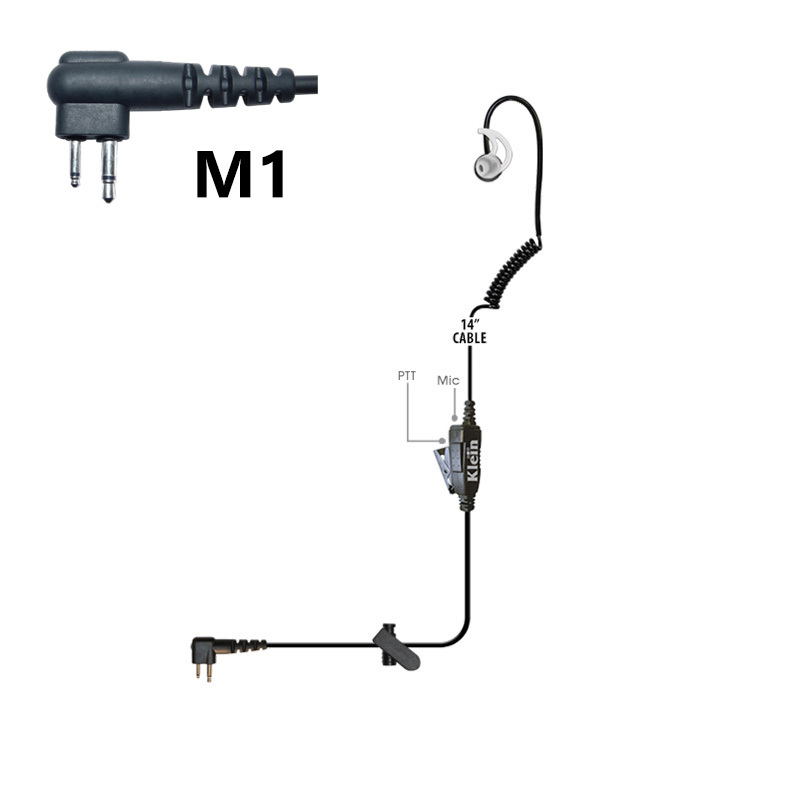 Please refer to the Connector Chart for more details.